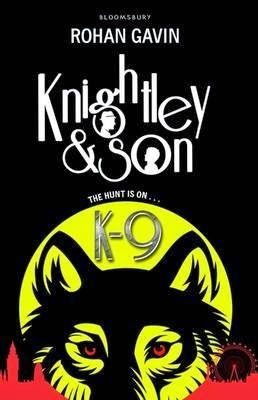 We first met intrepid young detective Darkus Knightley in Knightley and Son, where he teamed up with his father to tackle the crime organisation known as the Combination. Now Darkus is back, but this time with an ex-war dog, called Wilbur, at his side. The new case is a complex one. Vicious 'smart dogs' are attacking operatives from the Department of the Unexplained. On Hampstead Heath, pet dogs are going missing and strange sightings are occurring of something that can only be described as a werewolf. Meanwhile, celebrity dog-trainer Fiona Connelly is concerned about someone, or something, breaking into the grounds of her high-security home. How are all of these events related? Is the Combination once more to blame? Will Darkus's father stay conscious for the entire case or will Darkus once again find himself battling the forces of evil while his father lies in a stress-induced coma? And will Wilbur be able to overcome his past traumas to not only solve the crime, but also save his owner? This second book in the Knightley and Son series is just as entertaining as the first. However, I would sound a note of warning to younger readers or those particularly sensitive to animal welfare: a few scenes in the book, while necessary for the plot, could prove a little confronting for some, and a happy ending isn't guaranteed for every character. For this reason, I'd recommend a slightly older readership than the 9+ suggested by the publisher.